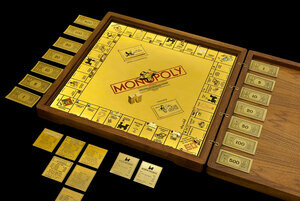 An 18-carat gold Monopoly set with hundreds of precious gemstones went on display last weekend at the Museum of American Finance in New York. 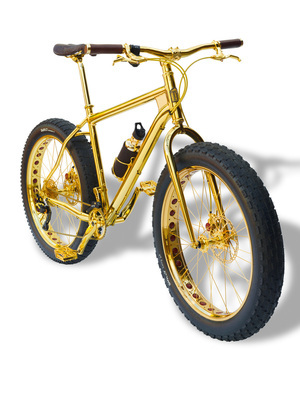 The dice alone are worth $10,000. Created by jeweler Sidney Mobell, the game (worth $2,000,000) is on loan from the Smithsonian Institution National Museum of Natural History. 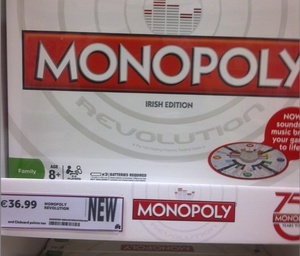 Posted in Misc and tagged gold, Monopoly at 9:15 am on October 18, 2010 by Niall Murphy.